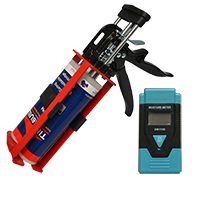 No fumes, 1 day project not 3! Not three days using currently available products. 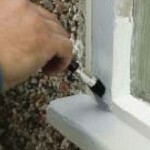 Window repair and restoration products that last a lifetime! 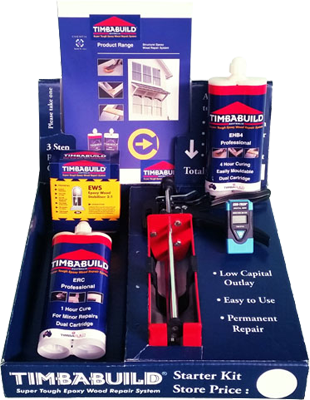 Welcome to Timbabuild Australia Pty Ltd. Our premium quality, fast curing time saving products will enable you to restore and paint timber windows, doors and fascias’s or almost any timber structure in just one day. 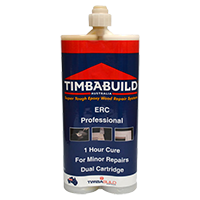 Timbabuild are sole suppliers of Australia’s fastest curing range of super tough epoxy timber repair products, developed specifically for the professional timber restoration and painting sectors. 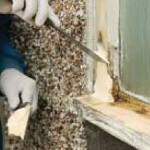 Remove the damaged or rot affected wood using a routing tool or chisel, back to bare, good wood. 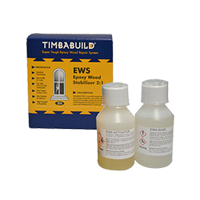 Treat with Timbabuild EWS. 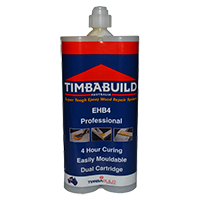 Apply Timbabuild into the repair area. 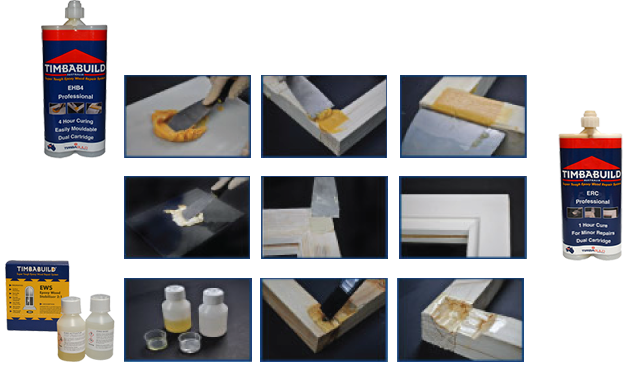 The thixotropic nature allows it to be used in horizontal and vertical applications. Smooth to a finish. 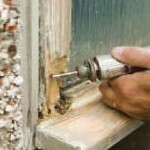 Once cured the entire repair area can be sanded, painted or varnished over as necessary, leaving a guaranteed lifelong and invisible repair.